The clothes in leather fabric should get much care than the other fabrics. If you do not care or care correctly, they may not be worn by you the next year. So it is important to care the leather clothes. 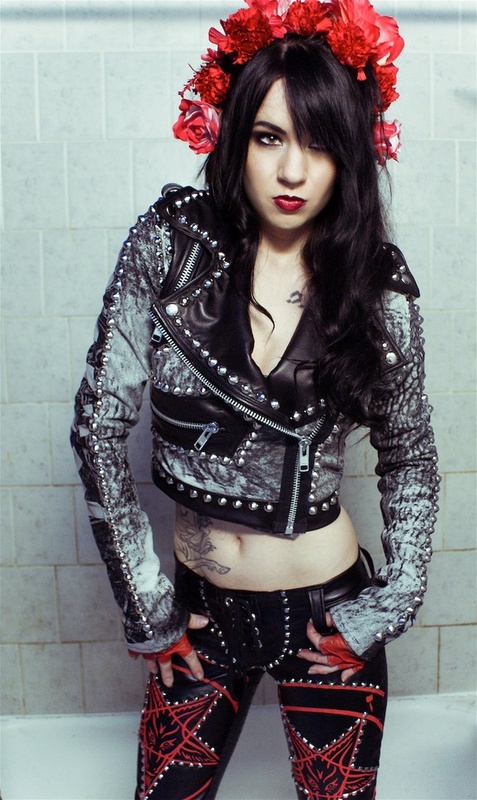 Punk is a clothing style that applies more leather to achieve its awesomeness and coolness. So pay attention to what to do when caring these leather clothes. You should ask what the type of leather it is when you buy it. Then before wearing, treat it with a suede and leather guard, like a scotch guard for leather furniture. This will help prevent the ingress of water, stains or grime. Whenever you take off the clothes, you should hang it on a hanger to avoid the transformation. It gets wet, hang it also on a hanger and let it dry itself at room temperature and away from any direct heat sources such as radiators or airing cupboards. Whatever you do to care or clean your leather jacket always test anything you intend to apply to the skin in a small hidden area of the jacket first, this will make sure you are aware of any adverse effects the product will have on your leather jacket before it's too late. Leather clothes should be paid much more attention for it is easy to get transformation and other destruction. I hope the article will be helpful. Hi, very attractive punk clothing thanks for sharing.